UPDATE: POLICE are investigating whether a Harristown man who allegedly built an automatic handgun in a shipping container has links to organised crime. Officers from the Toowoomba Tactical Crime Squad raided the Stephen St home on Thursday morning where the 52-year-old man was allegedly in the process of building the gun. TCS Acting Officer-in-Charge Senior Sergeant Matt Howard said the discovery was concerning for police. "Upon entering the residence, it will be alleged the male person was in the process of making a MAC-10 fully automatic handgun," he said. Tools used to make the untraceable weapon, as well as drugs and drug utensils, were also located at the property. "It's very concerning," Snr-Sgt Howard said. The gun will be sent for ballistic testing as part of ongoing investigations into the discovery. 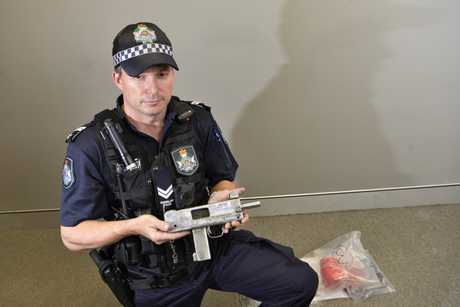 Snr-Sgt Howard said those inquires would also probe whether the man, or the illegal gun manufacturing set-up, had links to organised crime in the region and wider Queensland. The untraceable weapon can sell on the illegal market for more than $1500. It is believed plans for the weapon were found on the internet. "The firearm was just being finished being made so we don't believe it has been used in the community," he said. 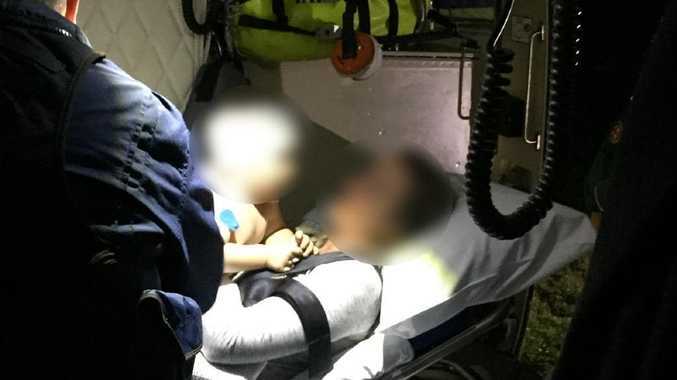 The 52-year-old man appeared in court yesterday on a raft of charges, and was bailed to appear in the Toowoomba Magistrates Court on March 7. EARLIER: A MAN has been charged in relation to the manufacture of weapons after a search of a Harristown home yesterday. About 8.45am officers from the Darling Downs District Tactical Crime Squad executed a search warrant at a Stephen St address. A search of the property was conducted and they located a shipping container with a large range of equipment inside. Police found manufactured weapons components, tools used to manufacture weapon components, weapon manufacturing instructions, weapon drawings, weapon templates and a computer with weapon manufacturing instructions. 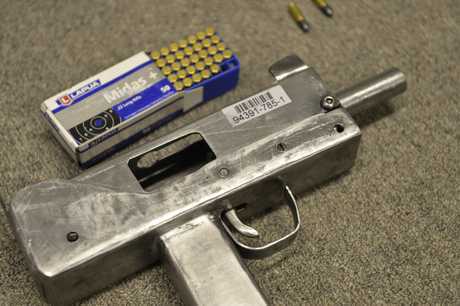 They also came across a manufactured category R submachine gun along with a mobile phone and a quantity of methylamphetamine and smoking utensils. A 52-year-old male resident was arrested and taken to the Toowoomba watch house where he was charged with the manufacture of a category R weapon, possession of a category R weapon, possessing drugs, possessing drug utensil, authority required to possess explosives and possess tainted property were seized. He appeared in the Toowoomba Magistrates Court today and was bailed to appear in that same court on March 7.